Detectives say the account information of at least 40 Sacramentans was compromised. 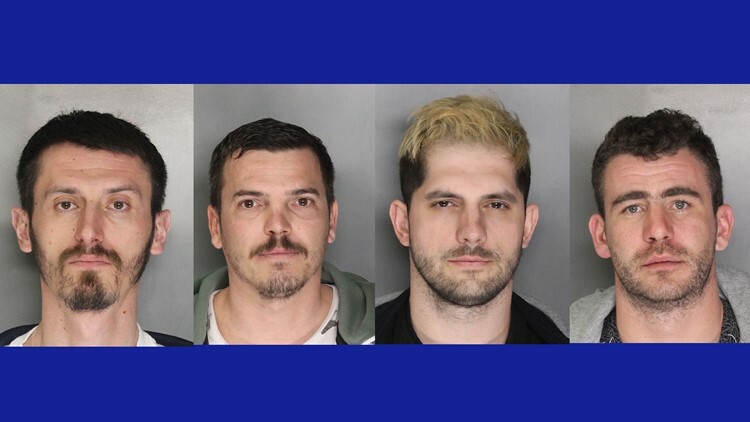 Four men connected to an ATM skimming ring were arrested Tuesday, the Sacramento Sheriff's Department said. Deputies were called to a Sacramento area bank on Feb. 15 after a skimming device was found on the bank's ATM. The device was confiscated and Sacramento County Hi-Tech Crimes Detectives were brought in to investigate. Similar devices were found on ATMs in Folsom and Reno, Nev., according to detectives, who said the account information of at least 40 Sacramentans was compromised. The investigation revealed that devices were placed at the ATMs by the same group of people, who they have not named. Detectives were able to get an arrest warrant for one of the men after identifying the owner of the car that they had been using. On March 14 detectives received information that the person was in the Sacramento area. After joint surveillance by Sacramento County Hi-Tech Crimes Detectives and the Folsom Police Department, the man was spotted going into a downtown Sacramento apartment complex. The next time he exited, he and three other men were detained. All four suspects are pictured below. Sacramento deputies were called to a bank after a skimming device was found on an ATM. These four suspects were arrested and booked in connection. The man who police had been tailing admitted to living in the apartment with the three other men. All four men were arrested and booked into the Sacramento County Main Jail. They are believed to be connected to several other incidents from Arizona to Washington dating back to 2018, according to follow up investigations.